Opinion: Would Kennedy say “I am a Catalonian” today? In thinking about European values and ideals, I wish to address all Europeans and particularly their political leaders. I particularly am addressing high-ranking politicians in Norway, Finland, Poland, Estonia, Latvia and Lithuania. I hope to touch their conscience and their courage. In his speech, Kennedy passionately defended the democratic principles and ideals of the free world, also harshly denouncing everything that was symbolised by the terrible wall. The Iron Curtain divided Europeans into two parts. Behind the wall were those who were imprisoned and whose freedom was lost. Those who remained on the eastern side of the Berlin Wall fell under the sway of Orwellian monsters. Doublespeak, which we know from George Orwell’s prophetic novel “1984” became the norm. Another objectionable Orwellian principle – this one from “Animal Farm” – also prevailed to the East of the Berlin wall – the idea that all animals are equal, but some are more equal than others. Today, half a century after Kennedy’s speech, there is reason to ask whether Europeans are building a new Berlin Wall. Is it not the case that political Doublespeak is once again floating across the continent as a terrible and poisonous fog, with people loudly proclaiming democracy, but in truth only observing it if it is advantageous for the political elites? As was the case in “Animal farm,” Europe today proves to be a continent on which “all nations are equal, but some are more equal than others”. Very recently Great Britain recognised the right of self-determination of the Scottish nation, allowing it to hold a democratic referendum to decide their future. Nearly all European leaders lauded this as a great achievement and triumph of democracy. Great Britain proved its wisdom, courage and trust in fundamental values of democracy. The Scots were recognised as a fully-fledged nation, one that has the same rights as other European nations do. At the same time, most European politicians choose cowardly silence when the same is demanded by Catalonians – an equally ancient, respected and large nation. It suddenly turns out that a principle that applies to one nation is not applicable to another. Once again – all are equal, but some are more equal than others. Less educated European politicians are making the base excuse that Scottish rights are based on special “British legislative traditions”. Apparently they have forgotten that the right of self-determination of nations is a long-standing, fundamental and universal principle of modern democracy. Indeed, it is the fundament of fundaments. Many people understand that this attitude is unfair and unjust. This is particularly comprehended by those politicians whose countries were born specifically because the principle of self-determination for nations – Norway, Finland, Estonia, Latvia, Lithuania, and many other countries. Otherwise they would be unhappy denizens of empires today – people to whom the fundamental principles of democracy do not apply. For this reason, I would like to pose this question the respected and democratic prime minister of Norway, Erna Solberg: Would you be the leader of a self-respecting country today if Sweden had used military force to take away the right of Norwegians to self-determination? Spain today is threatening Catalonia precisely in the same was as Sweden threatened Norway in the 19th century. Am I wrong in saying that the fundamental values of democracy apply to Norwegians at a level of 100%, while the Catalonians are not worthy of such principles? Madam prime minister, please answer these questions honestly! I would similarly like to pose a question to Finnish President Sauli Niinistö and Prime Minister Alexander Stubb: Have you forgotten what Germany and Sweden told the new Finnish nation in 1917? They told you to talk to Russia first and foremost. Sweden didn’t care about what the Finns thought. Instead they awaited the decision of the new rulers of the old empire. You are keeping silent today. Are you not demonstrating equal levels of cowardice? It is not important what you Catalonians want. Go and talk to big Spain first. I wonder whether Latvian Foreign Minister Edgars Rinkēvičs, who has recently said that “Catalonia is an internal matter for Spain,” is not bring shame upon his predecessor – Latvia’s legendary first foreign minister, Zigfrīds Anna Meierovics. In the early 20th century, Meierovics struggled for Latvia’s de iure recognition in the world, and often he was faced with the question “Latvia? What is Latvia? It is an ancient part of Russia, and it is an internal matter for Russia.” Must Latvia’s foreign minister be equally haughty when talking about the Catalonian right to self-determination today? I would ask Estonian President Toomas Henrik Ilves where his courage and openness have gone. 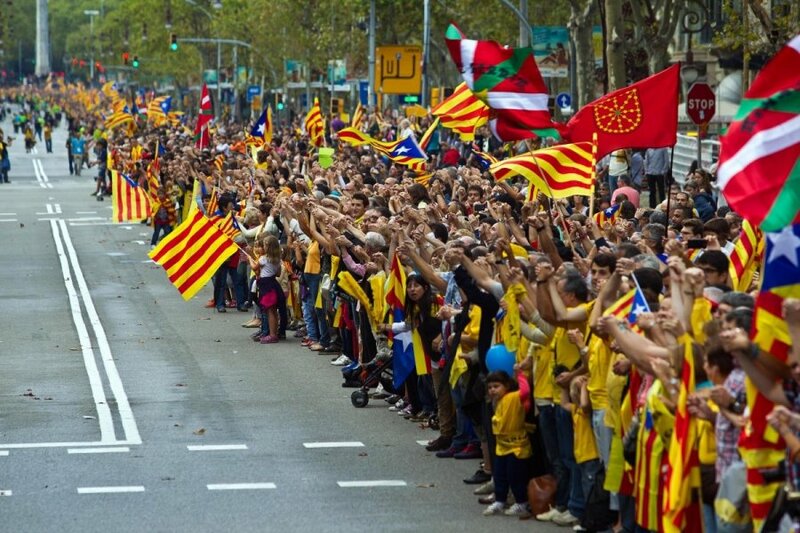 In 1993, his legendary predecessor, Lennart Meri, was in Paris, where he spoke these words: “Asking any nation to refuse its right to self-determination is a slap in the face of its self-assurance.” Today Ilves is silent in watching how Spain is doing precisely that in relation to the Catalonians. The world admired Estonia because of Lennart Meri, who was a noble, courageous and talented thinker and defender of democracy. Today Ilves just watches as Spain shamelessly slaps the Catalonians and Ilves pretends that he is not seeing that. Lithuanian President Dalia Grybauskaitė: Can you be as courageous today as little Iceland was back in 1991 in recognising Lithuania’s right to self-determination without fearing the Soviet Empire? It is ironic that back then the Soviet leader was saying precisely the same thing that Spain is saying today – Lithuania’s right to self-determination is illegal. I might pose similar questions to the chairman of the European Council, Herman van Rompuy, or to the president of the European Commission, Jean-Claude Juncker, but it does seem that they are deaf. When Martin Luther King delivered his legendary “I Have a Dream” speech, there were some 250,000 protesters in his audience. Quite recently nearly two million Catalonians joined hands to demand their right to self-determination, but European Union leaders remained deaf and apathetic. The dream of equality has been written into the smokestack of history. Apparently today’s leaders have nothing of the idealism and courage of men such as Ronald Reagan and Pope John Paul II, who destroyed the shameful “Berlin Wall”. They believed in democracy and renewed a truly free Europe – a Europe in which millions of other Europeans, including Angela Merkel from East Germany, also regained their freedom. 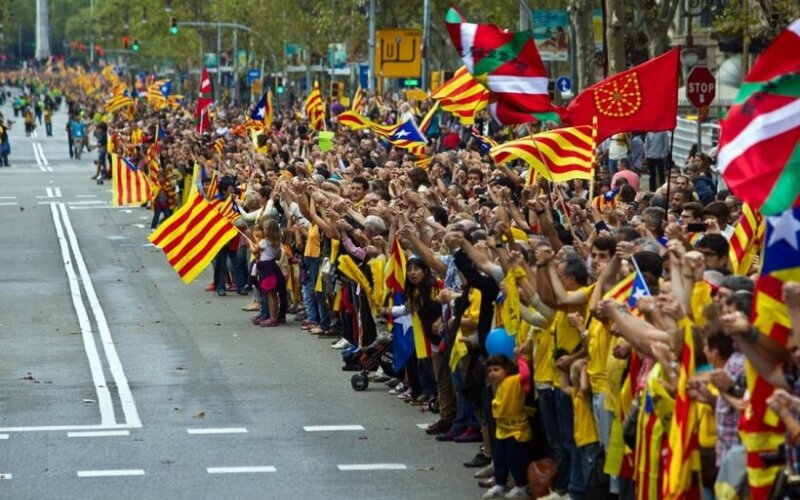 On November 9, Catalonia will be holding a referendum on self-determination. Fully in line with the nauseating traditions of Orwellian Doublespeak, Spain has banned it. The Catalonians have called the referendum a survey, but it, too, has been banned. In 21st-century Europe, 7.5 million Europeans have lost their fundamental democratic freedoms. A self-respecting Europe has no room for double morals, cowardice and open betrayal of democracy. By betraying the Catalonians, the Europeans are betraying the holy principles of democracy that are the cornerstone of all Europe. This betrayal will be a crack in the glass, and once the glass is cracked, nothing can stop it becoming more unstable. If only I could change this situation by telling the Spanish government to put me in prison, but let the Catalonians have their vote! I have no real hopes when it comes to the prime minister of Norway, the president and prime minister of Finland, the presidents of Estonia, Lithuania and Latvia, and leaders of other countries to stand with me. Apparently they believe that the privilege of an independent country with the right to self-determination rests only with a few elect nations. Just like in Orwell’s “Animal Farm”. Otto Ozols, writer, Latvian, European. Once again there is an air of crisis across Europe.